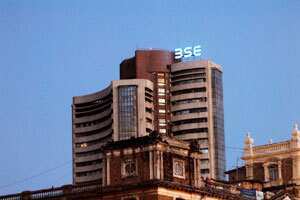 Mumbai: Indian shares ended up 1.9% on Tuesday to their highest close in over two and a half months, as carmakers, infrastructure firms and developers cheered the possible end of a monetary tightening cycle that has hurt demand in Asia’s third-largest economy. The Reserve Bank of India (RBI) raised interest rates for the 13th time since early 2010 to battle stubbornly high inflation but signalled it may end its hawkish stance that has put it at odds with peers concerned about weak global growth. India’s stock markets will open for a special trading session of 90 minutes on Wednesday. The markets will be closed on Thursday on account of the annual Diwali holiday. European policymakers appear to be inching towards a deal on bank recapitalization and rules for using the European Financial Stability Facility, driving gains for IT stocks for a second consecutive day. The country’s flagship IT sector has been looking to increase its sales in Europe, its second-largest export market, to hedge against US exposure. Infosys Ltd, India’s second-largest software services firm, and a bellwether of the country’s $76 billion IT industry, closed up 3.3% at ₹ 2,858.70, having risen as much as 4.8%. Tata Consultancy Services Ltd, the market leader, closed up 1.8% at ₹ 1,098.65, with rival Wipro Ltd ending the day at ₹ 372.15, a gain of 3.9%. Auto makers, who have been hit with a slowdown in demand over the past quarter due to high cost of borrowing, saw their shares rise after the central bank said in a statement the likelihood of a rate move in December is “relatively low". Maruti Suzuki India Ltd, India’s largest car maker, closed up 3.5% at ₹ 1,151.25, with rivals Mahindra and Mahindra Ltd and Tata Motors Ltd posting gains of 5.4% and 3%, respectively. Banking stocks, the biggest contributor to the benchmark Sensex, fell as much as 3.1% after RBI deregulated savings bank deposit rates alongside the widely expected 25 basis points hike. Larger banks are likely to be the hardest hit by the deregulation, Deutsche Bank AG said. HDFC Bank Ltd and State Bank of India, the country’s largest lender, were the biggest percentage fallers in the benchmark index. HDFC Bank closed down 3.4% at ₹ 468, while SBI slipped 3.6% to end at ₹ 1,839.80. The 50-share National Stock Exchange (NSE) index closed up 1.83% at 5,191.60 points, slightly below its session high. In the broader market, roughly the same number of stocks gained as fell, on a volume of about 664.4 million shares. Shares in non-ferrous metals producer Sterlite Industries India Ltd, a unit of London-listed Vedanta Resources Plc, rose as much as 5.2%, buoyed by a continued rise in Shanghai copper futures. Titan Industries Ltd fell as much as 6.7% after the company reported a lower-that-expected 16% rise in its September quarter net profit at ₹ 148 crore. Shares of Dr Reddy’s Laboratories Ltd rose as much as 3% after the US Food and Drug Administration approved its generic version of Zyprexa medicine, and its second-quarter net profits beat expectations.